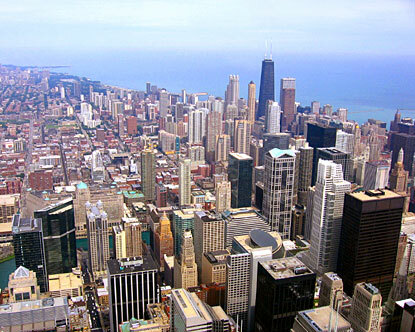 Both NATO and the G8 were to be held in Chicago, USA in the month of May. These summits were the focus of many protests. Many forces planned to gather in Chicago that month. The forces that would make up such protests are diverse. They range from social-imperialist to anti-imperialist, First Worldist to Third Worldist, reformist to revolutionary. In face of the Occupy protests last year, to avoid disruption, the G8 has moved its meeting to Camp David in Maryland. This new location makes it difficult to protest in numbers. The moving of the protest to Camp David represents a defeat for those who would challenge the imperialist institution in the streets. Although NATO will still hold its meeting in Chicago, providing a target for protesters, NATO by itself will not generate the same numbers as NATO and the G8. In the past high-profile summits have provided a target, an opportunity for those seeking to disrupt the state to gather and act. This has especially been the case after the Seattle protests of the World Trade Organization in 1999. The moving of G8 represents a new tactic in response to summit-hopping protesters and the Occupy movement. In addition, expect a sophisticated state response to the protest. Expect increased militarization of the police, FBI, and Homeland Security involvement. Those who planned to attend should take note. Even with the reduced numbers, the protest of NATO in Chicago provides a good opportunity to spread the word about Leading Light Communism.